If you check the Centers for Disease Control and Prevention (CDC) guidelines for exercise this year, you’ll notice something different. While the CDC used to simply recommend any type of exercise a few days a week, it now recommends both cardiovascular activities and toning exercises in the form of strength training. Specifically, Americans age 65 and older are encouraged to learn how to build muscle and do muscle-strengthening activities that work all major muscle groups (legs, hips, back, arms, shoulders, chest, and abdomen) at least twice a week. Why this change to the government recommendations? Experts now realize just how important toning exercises are to your overall health and longevity. “Every health professional will agree that strength training is essential for health, injury prevention, and prolonging quality of life,” says certified strength and conditioning specialist Cody Foss, owner of the Fitness Loft in Newtown, Conn. When it comes to preventing some of the health concerns and accidents that befall the elderly, this advice about learning how to build muscle with toning exercise is especially true. For example, a group of researchers recently looked at 111 studies with over 55,000 total subjects on the topic of falls in the elderly. After examining all this data, what they found was that exercise programs that focused on at least two of these — building strength, balance, flexibility, or endurance — were the best way to prevent future falls in the elderly. If you are an older individual who is first learning how to build muscle, it’s important to start slowly to avoid overexerting yourself, says Dr. Westmoreland. “The major consideration before embarking on strength training as an older adult is to make sure that from a cardiovascular standpoint you are fit to start,” she says. That means getting the okay from your primary care physician before you begin. Once you receive clearance from your doctor, walking is a good place to start. 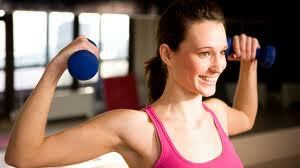 Then, as your fitness improves, you can incorporate some light strength training exercises into your routine. “The older adult should do muscle-strengthening exercises that work all the different muscle groups: legs, hips, back, abdomen, chest, shoulders, and arms,” says Westmoreland. If you’re concerned that strength training means lifting massive weight over your head, you needn’t be. You can do toning exercises that are low-impact but will still build muscle. For example, tai chi is a very effective strength training exercise that has helped promote longevity in many people. Find a local class to participate in or simply follow a video at home to get the benefits of tai chi. Abdominal twist: Sit in an armless chair with your feet flat on the floor and shoulder-width apart. Your hands should be in the center of your torso and your elbows along your sides. Slowly twist to the right, then to the left. Your shoulders should face to the right and then to the left during the movement, but you should not be swinging your arms from side to side. Do two to three sets of 15 to 20 repetitions. Lying abdominal crunch: Lie on your back with your legs bent and your feet flat on the floor. Place your hands by your ears. Keep your elbow and shoulder joints aligned during the movement. Slowly curl your upper body upward until your rib cage comes up off the floor. The goal is to create a “C” with your torso by bringing your chest toward your legs. Don’t let your lower back come up off the floor, just your rib cage. Perform two to three sets of 15 to 20 repetitions. Pelvic tilts: Lie on your back with your legs bent and feet flat on the floor. Pull your belly button in toward your spine until your abdominal muscles feel tight. Slowly shift your pelvis up toward the ceiling until you feel your lower back press against the floor. Your buttocks should not come off the floor. Return to starting position. This exercise works the lower portion of the abdominal muscles. Bridges: Lie on your back with your legs bent and feet flat on the floor. Pull your belly button in toward your spine. Slowly lift your torso off the floor until you have formed a bridge with your body. Your upper back, shoulders, and head should remain on the floor. Return your body to the floor and repeat. Perform two to three sets of 15 to 20 repetitions. If you have osteoporosis, particularly if you have had compression fractures of the vertebrae in your back, you should get your doctor’s okay before doing these floor exercises. Adding a strenth training component to your fitness routine doesn’t have to be complicated, and the benefits to overall health — including reducing your risk of falling — are more than worth the time you put in. It turns out antibacterial soaps aren’t so “clean” after all. A common chemical in antibacterial products, triclosan — which can be found soaps, toothpastes and mouthwashes — was found to impair muscle function in lab and animal tests. Originally, the chemical, developed in the 1960s, was used in hospitals to prevent bacterial infections. Since then, it’s been used in countless household products, and several studies — mostly in animals — have hinted that the effects of triclosan may not be entirely beneficial. Studies have shown that the chemical can disrupt the endocrine systems of several different animals, binding to receptor sites in the body, which prevents the thyroid hormone from functioning normally. Additionally, triclosan penetrates the skin and enters the bloodstream more easily than previously thought, and has turned up everywhere from aquatic environments to human breast milk in troubling quantities. Now, in a new study published in the Proceedings of the National Academy of Sciences, researchers from the University of California, Davis, found that triclosan also interferes with muscle function. In the lab, they exposed human muscle cells, from the heart and elsewhere, to triclosan and discovered that the chemical interrupted cellular communication necessary for muscle contraction. Then the researchers exposed mice and fathead minnows to the chemical to see what would happen: after a single dose, the exposed mice showed 25% reduced heart muscle function and 18% reduced grip strength. In the fish, which were exposed to as much triclosan as would be expected in a week in the wild, the chemical led to poor performance in swimming tests that simulated escape from a predator. For its part, the U.S. Food and Drug Administration (FDA) has not found the chemical hazardous to humans, but is in the process of reviewing the safety of products containing triclosan; those findings are expected at the end of the year. The FDA notes further that there’s no evidence suggesting that antibacterial soaps containing triclosan offer any additional health benefits over regular soap. Body Fat Percentage (BFP) or Body Mass Index (BMI) ? Those digits can deceive, making you feel pudgy when you’re not or giving you false slim-security. 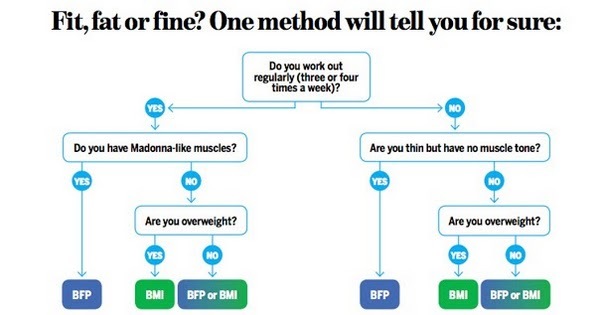 Use BMI or body-fat percentage (BFP) to suss out your true fatness. We’ve got the skinny on the way that’s right for you. How it works: The easiest way to get an accurate BFP reading is a skin-fold test. Calipers (they look like long prongs) measure thickness near your hip and at your thigh and triceps. Where to get it: Many gyms offer the test gratis to members, or you can ask your doc to test you. 14-20% Oh, yeah! You’re athlete-level fit. 21-24% Sweet. You’re in great shape. 25-31% OK, but your health risks may rise; up your strength training. 32+% You’re actually obese (even though you may not look it). Who it’s for: Workout novices who need to lose a lot of weight in order to get fit, says Pete McCall, an exercise physiologist with the American Council on Exercise. As you shed major pounds, you’ll see your BMI go down–an encouraging sign that you’re on track. BMI also helps average-weight, average-muscle-tone folks get a snapshot of their health. (To know your actual body fat, you need to use BFP.) But if you’re just looking to drop a size, skip this calculator. Replacing a few pounds of fat with muscle won’t always change BMI, and you may think you’re not progressing when you are, McCall notes. How it works: The formula takes how tall you are and how many pounds you carry, then estimates if you’re at a healthy weight. 18.4 or less Underweight. You actually need a little fat to be healthy. 18.5-24.9 Normal weight. You’re in the zone. 25.0-29.9 Overweight. Health risks rise in this range. 30+ Obese. Time for a major body transformation! Food is fuel. Skimping before workouts is not the path to success. It only increases the lack of energy and promotes the loss of muscle mass. Since basic exercise does not burn all that many calories, the purpose is to build muscle mass to aid in muscle-caloric burn. High intensity interval workouts are recommended for best results. Although some studies differ on the effectiveness of the timing of your workouts (AM vs. PM in relation to an empty stomach vs daily caloric ingestion), you should eat something before your workout. In turn, allow enough time for digestion and aim for 1.5-2 hours prior to your workout. Higher fat content meals can increase digestion time and an Increased intensity of your workout can interfere with the blood needed to provide nutrients to muscles during a workout. Eat 1.5 – 2 hours before your workout to allow for digestion. 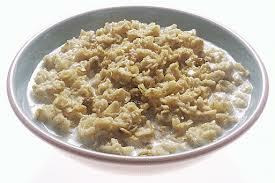 An ideal pre-workout meal should consist of : 10-35% protein; 45-65% carbohydrates; 20-35% fat. Eat within an hour of intense workout in order to refuel the body’s cells which aids in proper recovery and lean muscle build-up. An ideal meal consists of 4:1 carbs:protein. Examples: Chocolate Milk, Hummus on Whole Wheat Pita. There’s a lot of debate out there about the use of fat loss supplements (versus simply adjusting your diet and exercise). But the truth is, that’s yesterday’s news. After years of testing and refining, most of today’s fat loss supplements are both safe and effective. But that doesn’t mean diet and exercise should be left behind. The fastest approach to fat loss is a combination of regular exercise, a healthy diet, and the right supplements. As for exercise, make sure you’re getting at least 4-5 days of both cardiovascular and resistance training. Your diet needs to be cleaned up immediately – cut down on carbs, reduce your fat and sugar intake, and get lots of protein and fiber. 1. 7-Keto – 7-keto is completely revolutionizing the weight loss industry. This supplement is a byproduct of the hormone DHEA, which is directly related to your metabolism. Combined with the other metabolism-enhancing supplements green tea extract and CLA, these 7-Keto LeanGels might be just what you’re looking for! 2. Muscle Pharm Shred Matrix – This fat loss supplement has everything you need. Shred Matrix is a metabolism-booster and appetite suppressant in one, allowing you to get through your day with more calories burned! Muscle Pharm Shred Matrix contains a unique blend of natural fat-busting herbs, roots, and plant extracts to give you real results. 3. Hydroxycut South African Hoodia – Hydroxycut has been around for a while, but this product is taking advantage of a new, all-natural weight loss ingredient. South African Hoodia has been shown in a number of studies to significantly reduce your daily caloric intake by controlling your hunger and suppressing your appetite. If you’re looking to try something new, give Hydroxycut South African Hoodia a try. 4. Universal Animal Cuts – If you hit the gym hard and on a regular basis, this is the kind of fat loss supplement you’re looking for. This specially designed fat loss stack not only improves your metabolism and gets you burning more calories, it also reduces your water weight, giving you that toned and ripped look you’ve been aiming for. Universal Animal Cuts is the best summer fat loss supplement for seasoned weight lifters and gym newbies alike. 5. Matcha Green Tea – I’m rounding out this list with something a little less intense. If you’re just looking for a bit of an added boost to your body’s thermogenesis (its ability to burn fat and calories), consider adding Magic Matcha Green Tea to your diet. It’s an easy and effective way to burn more fat, boost your energy at the gym, and control your hunger!